Born in 1982 when Marcela Hernández opened the first shop Colomba in Santiago Chile with a proposal of clothing for the contemporary woman. Since the beginning, the Linen was the material to characterize the line among other selection of natural fibers of high quality and precious textures. 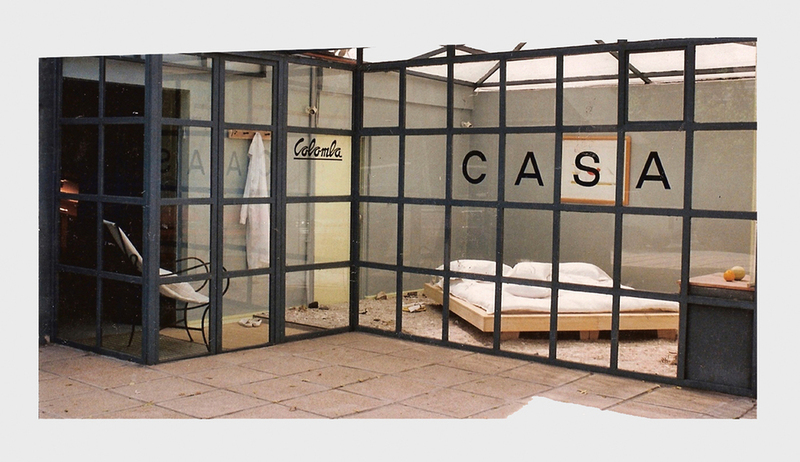 In 1995, Colomba expanded the line to home textiles and interior design. Linen fiber was again the protagonist. This passion would lead the company to concentrate on Linen, and explore with new treatments and colors to create unique and exclusive items. Colomba offers a selection of products for the bed, bath, table, home accessories and clothing. A "lifestyle" proposal. Handloom throws, hand embroidered pillows, silkscreen prints, and a variety of accessories are part of our selection to recreate the artisan work. Tradition meets innovation with natural elegance… that is Colomba Living. The Home - showroom is located in the area of Vitacura Santiago, where we have the full selection of products, give our customers personal assistance and invite them to experience Colomba Living proposal. We receive custom made orders according to our customers needs. We work along with interior designers and give guidance and alternatives for their projects. Marcela is currently working with her daughters Valentina and Mila. Valentina is a landscape architect and is responsible for interior design projects in Chile. Mila is a fashion designer/ stylist and currently lives in California. She is in charge of expanding Colomba in the USA. Colomba Living products are currently sold to interior design studios. We work along and give personalized guidance to interior designers to find solutions to their projects.